What is an Illinois premises liability case? Posted on 02/15/2016What Do You Know About Radon? The term premises liability refers to the body of law that governs who is responsible for the costs of injuries on a property. 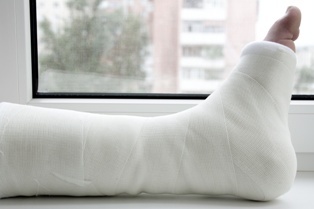 Although the most common types of injuries in these cases are slips, trips, or falls, injuries can occur any number of ways—such as dog bites, swimming pool accidents, fires, entrapment (such as falling down a hole or suffering ground collapse), and exposure to toxic gases or chemicals. Each state creates and enforces its own premises liability laws, which are used to determine whose negligence caused the injury. The negligent party can then be held responsible for paying the injured party’s medical bills, rehabilitation costs, lost income, out-of-pocket expenses, pain and suffering, and other damages. An invitee. A property owner is responsible for providing a safe environment to customers, builders, concert-goers, repairmen, and anyone else who enters the property for business purposes. Since invitees are usually paid to attend or are performing a service, the property owner may be held liable for the cost of these victims’ injuries. For example, if someone is attacked or injured due to negligent security outside a nightclub, the nightclub owner may be ordered to cover the costs since he or she should have installed proper lighting and surveillance equipment. A licensee. Licensees are social guests, or those who have been invited onto a property for a single event or for a short period of time (such as a party). In Illinois, the law makes no distinction between invitees and licensees, and requires that owners provide the same high standard of care to all invited guests. This includes fixing any known problems or warning guests about unsafe conditions that could cause injury. A trespasser. While people who enter the land without permission are not owed the same duty of care as invited guests, landowners still have some responsibility to prevent injury to trespassers. In Illinois, owners are prohibited from injuring trespassers through “willful and wanton” conduct, such as setting traps or intentionally making the land unsafe to others. The premises liability laws that apply in your case will depend on where the accident occurred. Our attorneys have offices in Illinois and Missouri, giving victims greater access to our injury expertise at no upfront cost. Simply fill out the short contact form on this page to schedule an appointment for your free consultation.